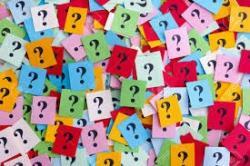 I would like to receive occasional information and updates from St Michael's School Summer Auction and jumblebee. Welcome to our first ever online auction! We thought we would try something a bit different this year to support our fundraising, we hope you like it. As a school we strive to develop our children as life- long learners and instil in them a passion for learning. We are very fortunate to have extensive school grounds which include a large playing field, woodland nature area and outdoor classroom all of which help enhance our children’s learning. Our PTA helps to raise money to spend on improving equipment and resources to enhance our children’s education and the facilities in the school. Currently, we are working towards raising funds to further develop our outside areas to make our outside learning experiences even more exciting. The School Council have asked for more playground equipment and there are plans to develop different areas that this can be used in, as well as putting a new trim trail in place for all of the children to access. We are also looking at renovating our pond area so the children can enjoy even more outdoor learning. Thank you for supporting us and a massive thank you to all of our wonderful sponsors and contributors who have donated some amazing prizes. Please read the Auction Guide which gives you information on how to take part. Remember if you are not interested in bidding on any of the items, you can still support us by clicking on 'donate' and supporting us that way. The auction closes at 21:00 on Sunday 18th June 2017. You can bid on as many or as few items as you wish. You will need to register in order to make a bid. Then you can bid on the items you are interested in - just click on the item you want to bid on, enter your bid and confirm. You will be notified if someone bids higher than you so you can decide if you would like to bid more. You can also put a maximum you are willing to go up to - this is referred to as a proxy bid. If someone else bids higher than you original amount and you have chosen proxy bidding, a higher bid will automatically be made for you to try and secure the item until it reaches your maximum. If your maximum is outbid, you will be notified and invited to bid again. Once the auction closes on 18th June, if your bid is the highest, you will receive an email asking you to either transfer money to our account or pay by cash or cheque at the school office. Prizes can be collected either at the Summer Fayre on Sunday 25th June 2017 between 10am and midday or from the school office after the event. If you are unable to collect in person we can post winning vouchers. If you do not wish to bid on any items, you can still support us by donating money and Gift Aid if you are a UK Taxpayer so we get and additional 25% back from the Government. 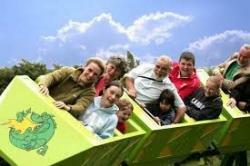 Complimentary ticket for four people at the exciting Adventure Farm near Burton upon Trent. The National Forest Adventure Farm offers exciting indoor fun, outdoor adventure and farm animals. The farm hosts many events throughout the year including huge summer Maize Maze, spooky Halloween daytime fun and scary night time Halloween Screamfest. Two tickets for the popular Bastile Eve celebratory tasting of French wines and culture at Touchstone Wines, 22 Radford Street, Stone. 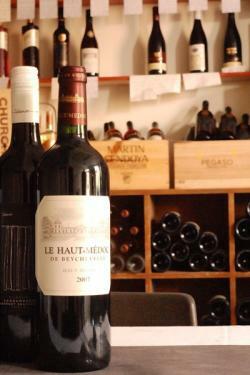 “Staffordshire’s treasure trove of interesting and characterful wines.” This evening is always a sell out. Enjoy learning about and tasting French wines and cheese from 7:30 - 10pm, on Thursday 13th July 2017. 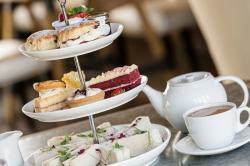 Enjoy a variety of food in the Queen of Welsh seaside resorts, Llandudno. The Albert is a family-friendly, popular food and real ale pub in the heart of Llandudno. It prides itself on serving a hearty mix of home-cooked meals, accompanied by a mix of local and popular ales, beers, wines and spirits, and topped off with friendly, welcoming service. In the heart of Llandudno, offering amazing Staffordshire oatcakes with a wide variety of filings. Characters Teahouse and curiosity shop is a family run business with the idea of bringing back the past time of sitting down for Afternoon Tea, whilst also being able to mooch around and take a look at the quirky items for sale. Whilst being enchanted by our old boutique style Teahouse, to accompany your visit, there is a variety of vintage teas and delicious cakes and pastries. If you are catching up with old friends or simply want to sit and watch the afternoon roll away.Characters teahouse brings you the a warmth and comfort that can only be found in your own home. There’s so much to see and do at Amerton Farm and Craft Centre! Wildlife lovers can meet and feed the animals in the farmyard including cows, ponies, free running chickens and ducks, then visit the British Wildlife rescue centre that provides care and rehabilitation to sick and injured animals from foxes to barn owls. The play barn has recently been renovated and there will be lots of fun to be had. There are activities and animals to keep children entertained! 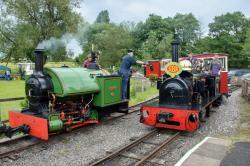 The Amerton Railway is approximately 1 mile long and runs behind the fields of Amerton Farm, each trip takes about 10 minutes. Family ticket for two adults and three children. Amerton Pottery is a traditional pottery and paint a pot studio, all under one roof offering creative fun for all of the family! Voucher of £15 to be used against a paint a pot session and/or pottery to paint. Ticket for 2 adults and 2 children, valid until 31/12/2017. Named one of the UK's top 10 best rated amusement parks in the Trip Advisor Travellers' Choice Awards 2016. Voted the Best Family Attraction in North Wales for 6 years, days out don’t get much better than at GreenWood Forest Park. Make a splash on the UK’s only solar powered water ride, Jump aboard the world’s first people powered roller coaster or zoom down the longest sledge run in Wales! Children will love discovering the super bouncy Giant Jumper, exploring the turrets of TreeTop Towers, taking their shoes and socks off for the BareFoot Trail or aiming for gold at Archery. All in all, you will discover hours of fun with constantly changing special events. Ticket admits up to two adults and two children to any of Dimensions 'leisure swim sessions'. Valid until end of Sept 2017. Whether you want to make a splash under the water fountains, ride the rapids, shoot down the dragon slide or simply relax in a hot spa, we'll always try to ensure you have a fun! Voucher for four people, valid until June 2018 - Experience the high level thrills of Planters Sky Trail Adventure. This great attraction for the whole family is only one of its kind in a garden centre in Britain. 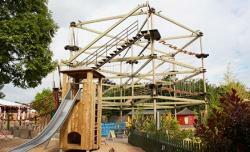 You and the whole family can navigate around our two level rope, bridge and beam course. Based at award winning Planters Garden Centre, on the border of Staffordshire & Warwickshire (just outside Tamworth). There’s a lot to do for you and the whole family. We have a restaurant, groovy pets department and an aquatics centre full of tropical fish. Ticket for two adults and up to three children, valid until 31/12/2017. Set in 50 acres in the heart of the beautiful Cheshire countryside, Cotebrook Shire Horse Centre & Countryside Park offers everything for the perfect day out. Home of the internationally renowned Cotebrook Shire Horse Stud we have been breeding prize winning Shires here for over 40 years and they form the centrepiece of the Centre.The Shire Horse is the largest breed of horse in the world and we invite you to meet our Stallions, Mares & Foals and learn about this fabulous Old English Breed from our friendly and informative staff who will be pleased to share their knowledge. We have up to 30 horses at any time for you to meet. Here at Cotebrook Shire Horse Centre there are lots of things to see. As well as our magnificent heavy horses, we have a fantastic selection of British animals & birdlife both wild & domesticated including rare breeds. 6 week block of Little Kickers football classes, including membership fees and kit for new members. 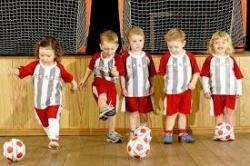 We have four different football classes each tailored to a different age group, from 18 months to 7 years. However, we have two core beliefs that we take into every session. Firstly, we believe in something we call “Play not Push”. It means teaching football in a fun, pressure-free environment. We want to give children a positive introduction to sport as a whole, not just football, so they’re more likely to stay healthy and active throughout their lives. Secondly, we believe football can be educational. Coached in the right way it can stimulate imagination and aid early development skills such as learning colours and numbers, following instructions and playing as a team. It’s an approach that has bagged us numerous awards and helped us expand globally over the last 15 years. And like all our Kickers, we never stop learning. We’re continually improving and updating our classes, based on feedback and input from child health specialists as well as our network of over 1,500 football coaches worldwide. Mid Staffs covers Stafford, Stone, Penkridge, Cannock, Rugeley, Lichfield, Burntwood and Tamworth. 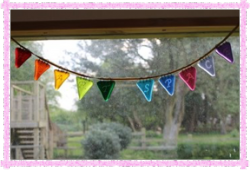 £20 Gift voucher, can be used against any products, workshops and parties on the website - go on indulge yourself! 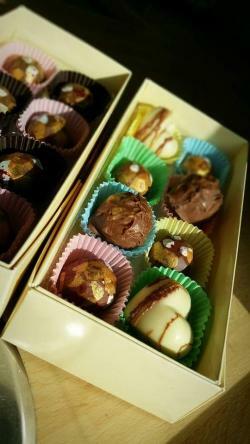 ECCLESHALL chocolatier Vic Clark has gained a taste of success as her business goes from strength to strength. Vic, 39, set up Chocolate@22 last year, making chocolates, truffles and bespoke gifts and she was soon accepted by gift retailer notonthehighstreet.com to sell her products online. Vic, who worked for chocolate company Thorntons for 10 years, said: "My passion for chocolate was re-ignited when I went to work for a confectioner's in Telford helping to design for Nestle and Cadbury's. That's where I learned my chocolate-making skills." 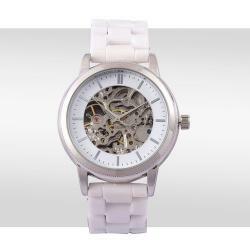 GENOA Skeleton Dial Automatic Water Resistant White Ceramic Watch in Silver Tone with stainless steel back. Stylish design with automatic or self-winding watch is a mechanical watch in which the mainspring is wound automatically as a result of the natural motion of the wearer to provide energy to run the watch, making manual winding unnecessary. Ceramic watch straps are usually more than three or four times harder than stainless steel. The high-tech coatings on watches are essentially ceramics. £100 voucher off a Star Parties party. 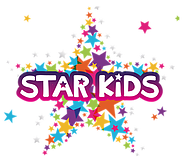 Show your child how special they are by treating them to wonderful Star Kids birthday party. Do you have a budding Jedi, Superhero, Minecraft Builder, Artist, Dancer or Hogwarts Wizard,? We offer amazing, fun and assured quality parties and events for youngsters..
Voucher for one person, for a three week course - 3 Sunday evenings, normally 7:30-9:30pm. Near Eccleshall, Staffordshire. Come along to a course of ‘Mind-Less’ classes to help you to live less in the mind and more in the moment. We explore a range of techniques to help you to quieten the mind, relax and release stress. It is thought it takes 21 days to make a new habit, so over the 3 sessions we’ll practice, support one another and develop new ways of being gentle with ourselves, and slow down amidst the madness of daily life! Be the best version of You that you can be. Lots of tips on how to quieten the mind, stay centred, relax the body and find peace & clarity, in a beautiful circle of women...with cake! "I'm going to miss our Sunday nights so much! It's been beyond what I imagined. I didn't know how much I needed it. Thank you." Voucher for one child to attend a half day summer holiday camp during the school summer holidays 2017 at Balance and Beam, Festival Park, Stoke-on-Trent. Summer camps are for 3 – 10 year olds during School Holidays. OFSTED registered half & full day themed activity camps are designed to stimulate physical fitness, motor skill & gymnastics development whilst craft breaks mid way through provide the opportunity for creativity and time to recharge with a healthy snack. Learning has never been so much fun - all in the care of qualified and dedicated team of motivated instructors. Camps are open to members and non members and include obstacle courses, team games, exploration on all the equipment and plenty of opportunity to make new friends. Fancy bidding on an unknown exciting lot! Go on you know you want to! Meet the Meerkats is a once in the lifetime opportunity to get up close and personal to these eccentric and amusing creatures. The encounter is 1 hour long and is for 2 people. Participants must be able bodied and 6 years or older. Experiences are taken in groups of 4. Ticket valid until 24/12/2017. The first part of your experience will involve both hand feeding our Meerkats and helping us with their enrichment. During the second part of the encounter you will be able to handle our hand reared Meerkats, both of whom are extremely tame and you will be able to stroke and cuddle. You will be accompanied by an experienced and knowledgeable member of staff at all times who will be more than happy to answer any questions that you have been dying to ask. Two nights for two people in a King size room at the Bonn Marriott World Conference Hotel from 8th - 10th December 2017. The Bonn Marriott World Conference Hotel awaits you with everything that you might need during your trip. It combines contemporary design, memorable on-site Dining and breathtaking views from the rooms and the bar on the 17th floor. All rooms feature high-speed Internet, pillow top bedding, and 24-hour room service. The Sky Restaurant Konrad's on the 17th floor awaits you not only with unique flavours but with the best views over Bonn and the Rhine River. Marriott guests enjoy a Special Discount at the Visiolife Wellness which features an indoor pool and Saunas. The Marriott Gym is open 24-hours and is free of charge. 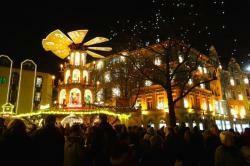 Bonn is the former capital of Germany and is located about 20 kilometres south of Cologne the impressive illuminated façades on Münsterplatz and its neighbouring streets are the festive backdrop for Bonn's Christmas market. The beautiful old town hall is transformed into an enormous Advent calendar and there are Christmas concerts and a daily programme of events to enjoy the Christmas festive season. Christmas shopping calls for Christmas markets, and Bonn has just the right atmosphere and the right spirit to go with them. Bonn is also the home of Haribo, so you can visit the Haribo store and stock up on your favourites or even discover something new! You'll also find mulled wine, hot mead and chestnuts or you can purchase beeswax candles directly from the bee-keeper. While you shop in this illuminated environment, classical symphonies play in the background. What's more, there is a 280-square-meter ice rink at Friedensplatz—a huge hit amongst one and all. Please note that all travel to be arranged and paid for by yourself. This is two nights hotel accommodation only.